Periodically, my sister, Laura, and I send each other pictures of Tahiti. We've decided that we're going to vacation there together and even set a tentative date for the trip: 2052. We want to stay in one of those overwater bungalows* complete with a sun-soaked deck and a grass roof like we're on a honeymoon. We talk about how we're going to wear bathing suits with skirts and rubber bathing caps covered in flowers -- a nod to our grandmother and a celebration of the fact that by the time we're in our 70s, hopefully we'll have stopped caring what the rest of the world thinks about how we look. We'll spend our days napping and giggling and reminiscing about our shared childhood and our mutual hatred of annoying body hair. We'll likely have a running commentary about the actual honeymooners and I'll probably have to stop Laura from pulling aside freshly minted wives to share her thoughts on marriage. But mostly we'll just sit, listening to the sea and rejoice in our reunion. I'm writing about this today for a couple of reasons. First, it's the middle of January and the high temperature is expected to hover around the mid-20s for most of the week. 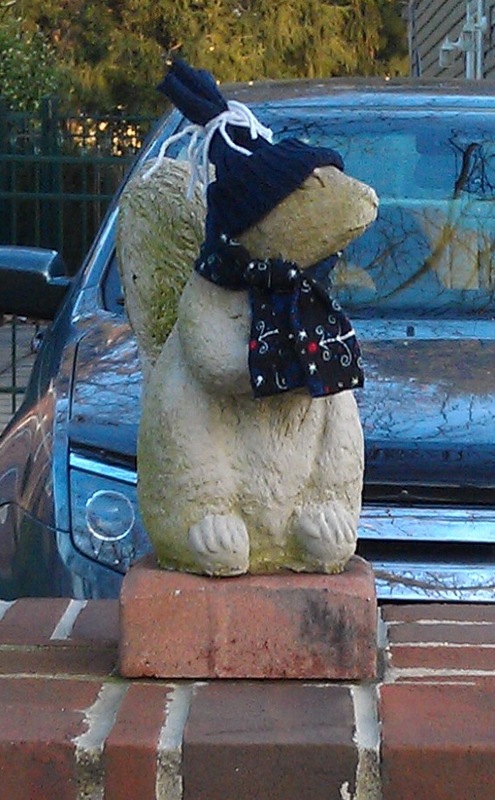 Even the squirrels are braced for the Arctic. I figure we could all use a picture of a tropical paradise. 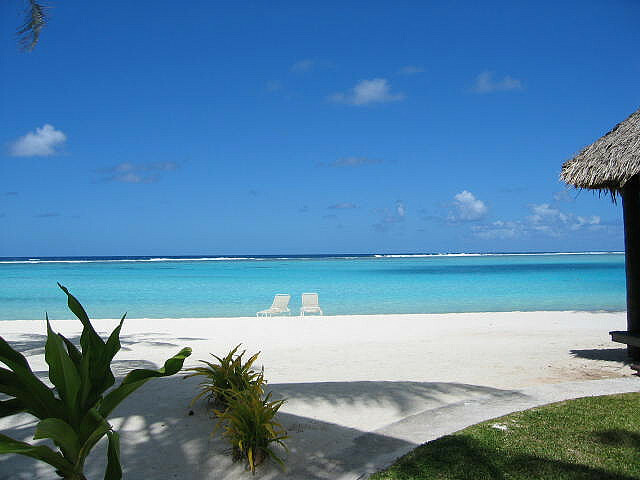 And second, Laura e-mailed me a picture of Tahiti this week. When she mentions our trip, it makes me speculate about why she mentioned it at that particular moment. (Laura is the mother of six -- including two teenagers and one almost teenager). Was she having the sort of week where you pick up the baby to put her in the bath and you notice a puddle on the floor and a piece of poo falls on the edge of the tub? Or, maybe she, too, had discovered a cold pile of dog puke hidden behind the TV and asked herself the question, "how long was the baby crawling around the living room in the vicinity of the cold pile of dog puke?" Had she had a 2/5 life crisis and, feeling like a boring, dowdy housewife, dyed her hair chocolate-caramel at home only to realize the next day that she wasn't in 8th grade anymore and that perhaps experimental hair dying was not the best path toward self-fulfillment? Who knows? What I do know is Tahiti is rarely invoked when life is all lemonade (or, at this time of year some delicious-but-overpriced-whipped-cream-topped-coffee-based beverage). It's reserved for those silly, desperate moments when you need a reminder to keep on, keeping on because somewhere out there your sister is dreaming of Tahiti, too.